Passing By has opened at Tacit Contemporary Art in Abotsford. This group exhibition includes my Manifold project. See it until October 16. 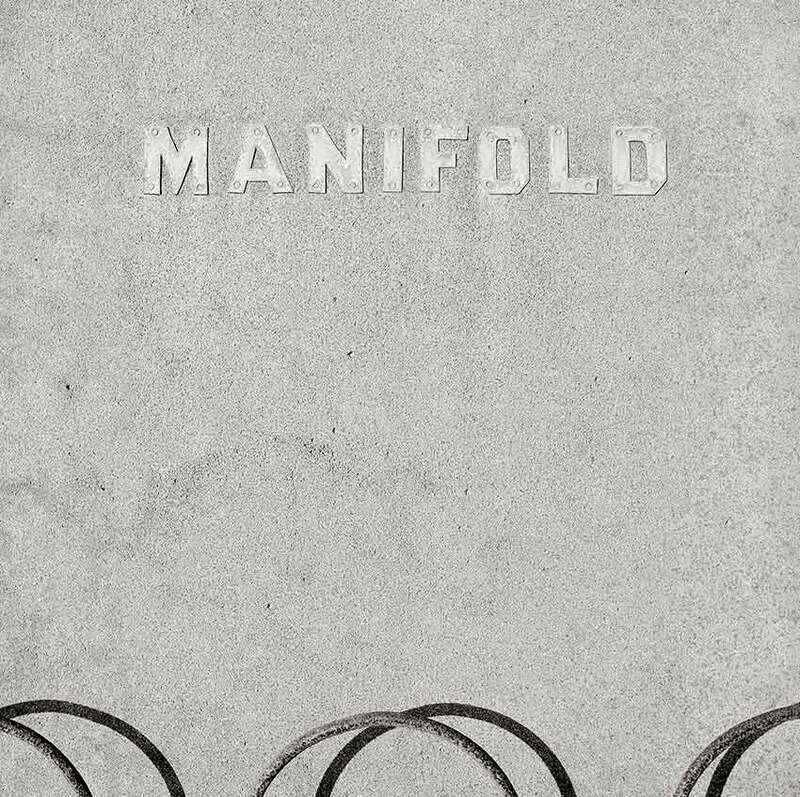 “Manifold: of many kinds or varieties; varied or diverse in appearance, form, or character; numerous and abundant. Tacit gallery is showing some prints from my Manifold series in a group show called Passing By. 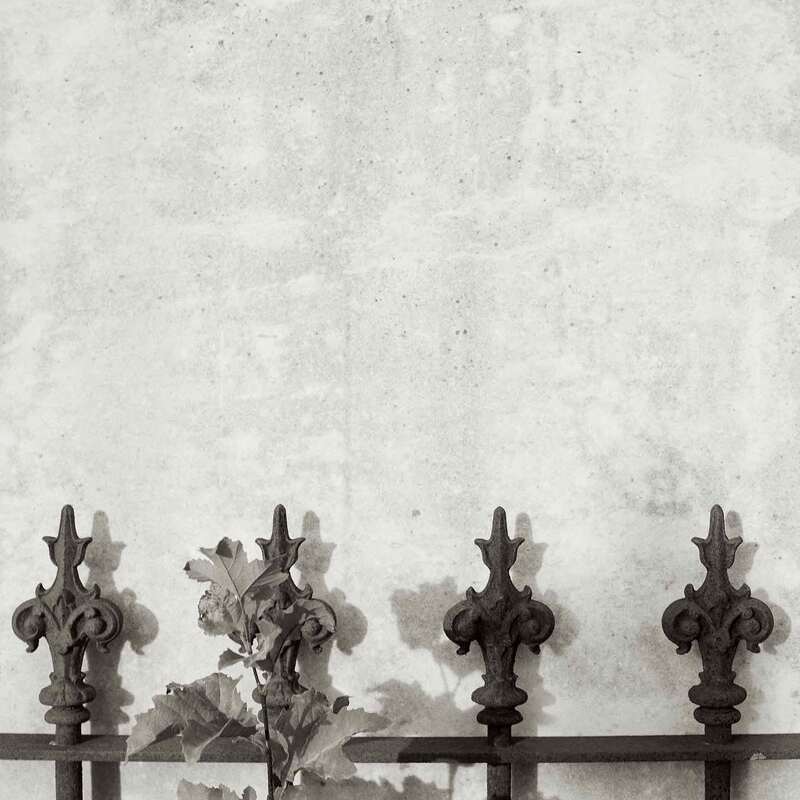 The photographs are close ups of weathered stone and rusting iron on 19th century graves. They were shot on black & white film with a Bronica medium format camera – yes, analogue. Passing By is the fifth annual show with a group of friends who are former students of mine. Each year we choose a title and work independently to interpret it photographically. Past titles were Bound by Books, Momentary, Folded and After Words. The exhibition is at Tacit Contemporay Art in Abbotsford, and runs from October 5 to 16..
Eugéne Atget and Jean-Luc Godard had something in common, even though their lives never coincided. The photographer of Paris and the Parisien director overlapped in their choice of a street, Rue Campaigne-Premiére, one to live in and the other to set the climax of his debut movie. Atget lived for many years at 17 bis, Rue Campaigne-Premiére, in Montparnasse. His flat and photography business were there, where the immortal words on his shingle stated: Eugene Atget, Documents for Artists. There is a heritage plaque marking his residence, a site and a sight which brought tears to the eyes of this writer. The street was also the home and workplace of many other artists, including Man Ray and Berenice Abbott, who together sort of discovered Atget and helped make him one of the immortals of photography. Man Ray’s business was a few doors away and he had noticed Atget’s sign. The street was a magnet for artists. At no 3 is the Hotel Istria where lived Marcel Duchamp, Man Ray, Francis Picabia, Tristan Tzara, Modigliani, Moïse Kisling, Foujita, Nicholas de Stael and Yves Klein; writers Louis Aragon, Rainer Maria Rilke and Vladimir Mayakowsky, composer Eric Satie and the idol of Bohemian Paris, Kiki de Montparnasse. The hotel is still running. Back to Godard. Rue Campaigne-Premiére played a part in launching the French New Wave cinema of the 1960s when the director chose it for the final scene of his breakthrough movie Breathless, 1959, known in French as A Bout de Souffle. There is now a restaurant by that name on the street level of Atget’s building. 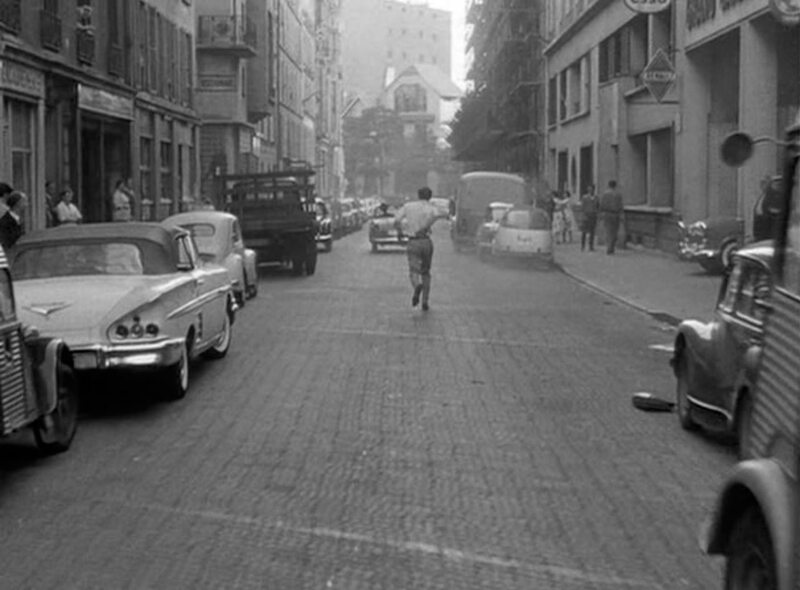 In the final scene, low-life crim Jean-Paul Belmondo is shot in the back and staggers along the street, past Atget’s address, past the Hotel Istria and Man Ray’s studio, to expire theatrically on the ground while Jean Seberg looks on. 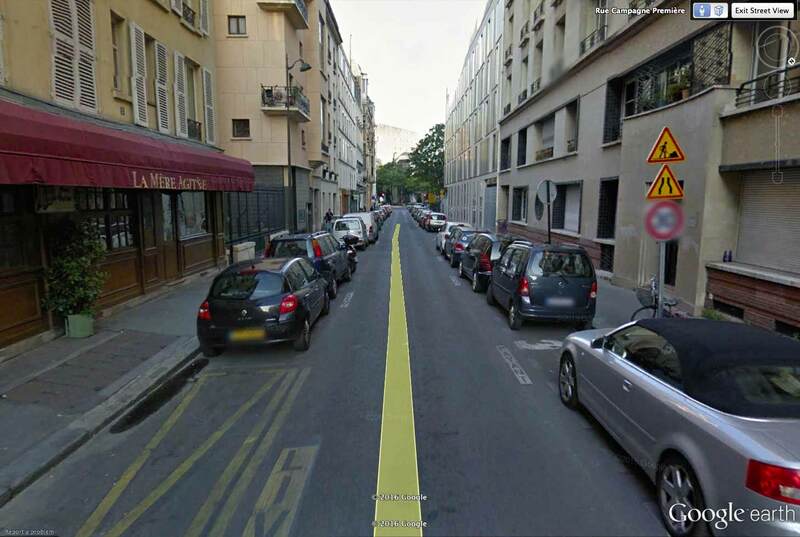 Google Street View showing the same location in Rue Campaigne-Premiére. A final note. What does the name of the street signify? It commemorates the ‘first campaign’ by the military officer who later subdivided this area of land which was then outside the city. Paris is drenched with history.